For many years, MCRRC has provided timing and logistical support to the City of Rockville’s Youth Track and Field program. This program attracts over 300 children each spring and includes five regular season meets and one conference meet. The children compete in events from the 50M dash to the mile as well as field events and relays. 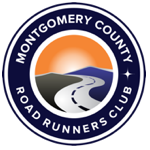 In 2011, MCRRC expanded its partnership with the City of Rockville to provide assistance with a new Youth Cross Country program. Boys and girls in grades 1-6 compete in cross country races from ¾ to 1 Mile in length at five meets throughout the fall. MCRRC looks forward to working with the city to expand this popular program in the coming years. Since 2002, MCRRC has partnered with the Firebirds Track Club to put on a track event for adult and youth runners called the Firebirds Mile. Firebirds Track Club provides a track and field program for all interested youth in Montgomery County, MD between the ages of 6 and 18.